The other day I told you about the wonderful selection of organic whole grains, flours, pancake mixes and nutritious cereals in my review, which I also shared a picture of the delicious waffles that I made from their whole grain buttermilk pancake mix besides my homemade whole-wheat bread and seven-grain buns using their flour. However, I thought you would be interested in these two other great ways to use Great River Organic Milling Company Pancake Mixes. The first way is if you have any leftover meat for a quick and economical dinner with waffles topped with your creamed leftovers. Either the Buttermilk or the Seven-Grain mixes work nicely for this purpose. You’ll chop the meat into little pieces before browning it with a small chopped onion in about three tablespoons of olive oil. When the finely chopped onion pieces are golden, you can drain a can of your favorite vegetable like peas or green beans and add it along with a can of cream of mushroom soup plus the herb you love the most. Some fresh thyme or dried chopped thyme is good or basil is another one for flavor along with salt and pepper to make perfect. Serve this over a batch of freshly cooked waffles. Another yummy way to enjoy these pancake mixes is to make some waffles and top with chopped bananas and a scoop or two of your favorite ice cream for a quick dessert. Check out this sinfully tasty treat I whipped out because these pancake mixes turn out almost a spongy, cake-like waffle to compliment the ice cream. 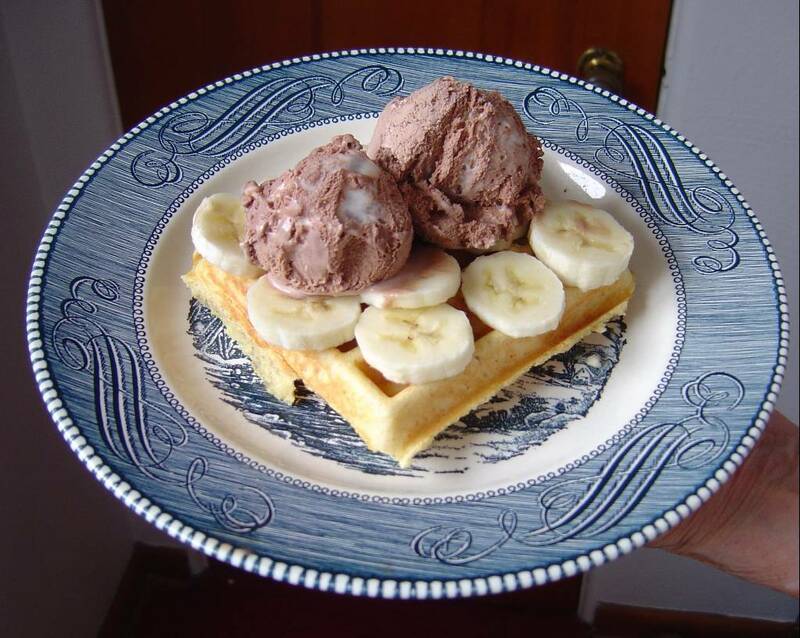 With ice cream and sliced bananas, this waffle was even tastier. 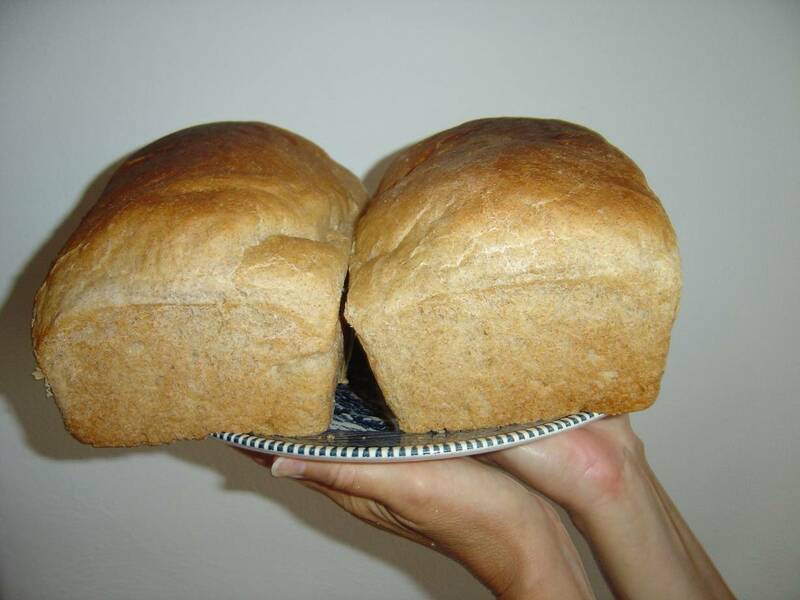 Today I also made two more loaves of my yeast-raised whole-wheat bread. Here’s the recipe! Here’ my Whole Wheat Brad. Thanks to Great River Organic Milling, one lucky Nuts 4 Stuff reader in the United States wins their choice of a Baker’s Box (with four varieties of their organic flour) or a Breakfast Box (a bag of pancake mix and cereal)! 1. You must follow me on Google Friends Connect before any of your entries will count. If you already follow, then tell me the name you follow me by with your email (if not in your profile) in a comment. 2. Go to Great River Organic Milling Company and tell me another product you would love to try or something you learned about them in a comment. Leave a separate comment for each entry. Be sure you include your email address inside your comment so I can contact you if you win. This giveaway is only open to residents of the United States only. Do follow the rules because I check entries. Be alert that if you attempt to enter using multiple identities will be grounds for disqualification. This giveaway ends October 4, 2011 at 12 PM Eastern Standard Time. The winner will need to respond to my email with name and shipping address within 48-hours or another winner will be picked. Next Post Are You Prepared for Flu Season? i entered the LL's Magnetic Clay Nascent Iodine Giveaway! gfc follower: ruby penarubykp(at)gmail(dot)comI'd like to try the Organic Highland Medley Whole Grain Hot Cereal. Follow you on GFC. Love the Five Grain Pancake mix! I'd like to try Great River's Highland Medley Cereal. I follow Nuts4Stuff on Twitter @AsTheNight (1). I follow Nuts4Stuff on Twitter @AsTheNight (2). I shared on Twitter: http://twitter.com/#!/AsTheNight/status/120859717332504576. 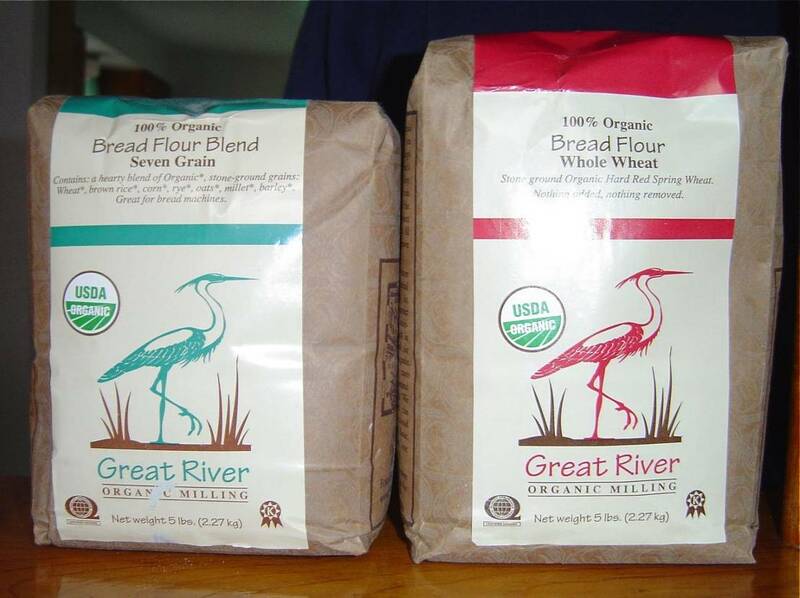 I liked Great River Organic Flour Milling Company on Facebook (Deborah Rosen). 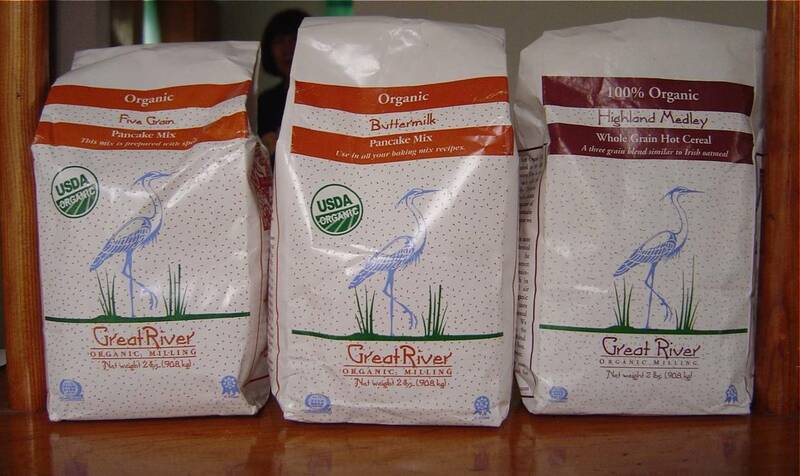 I liked Great River Organic Flour Milling Company on Facebook (Deborah Rosen) (2). I shared Great River on Facebook: https://www.facebook.com/profile.php?id=662760126#!/permalink.php?story_fbid=248148831897783&id=662760126 (1). I shared Great River on Facebook: https://www.facebook.com/profile.php?id=662760126#!/permalink.php?story_fbid=248148831897783&id=662760126 (2). I shared Great River on Facebook: https://www.facebook.com/profile.php?id=662760126#!/permalink.php?story_fbid=248148831897783&id=662760126 (3). I shared Great River on Facebook: https://www.facebook.com/profile.php?id=662760126#!/permalink.php?story_fbid=248148831897783&id=662760126 (4). I shared Great River on Facebook: https://www.facebook.com/profile.php?id=662760126#!/permalink.php?story_fbid=248148831897783&id=662760126 (5). I liked Nuts 4 Stuff on Facebook (Deborah Rosen) (1). I liked Nuts 4 Stuff on Facebook (Deborah Rosen) (2). I'm already subscribed to the mailing list of Nuts 4 Stuff (1). I'm already subscribed to the mailing list of Nuts 4 Stuff (2). Follow via GFC as susitravl at this email address – susitravl(at)gmail(dot)com.I learned that Great River products are certified organic and kosher approved. I like Great River Organic Flour Milling Company on Facebook (Kylie Carlson). #1. I like Great River Organic Flour Milling Company on Facebook (Kylie Carlson). #2. I like Nuts 4 Stuff on Facebook (Kylie Carlson). #1. I like Nuts 4 Stuff on Facebook (Kylie Carlson). #2. I follow on GFC as choirlady27. I'd like to try their multi-grain hot cereal. I'm an email subscriber #2. GFC follower: Atreau.I would love to try the Organic Bread Flour Blend Oatmeal. GFC follower Emily N.I'd like to try the Brown Rice Flour. This is my second comment for mandatory entry. I learned their products are for sale on alice.com.